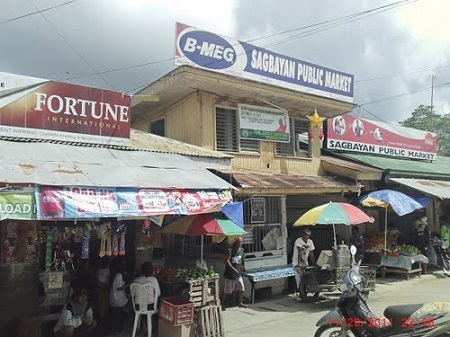 Sagbayan is one of the interior towns and part of the 2nd Congressional District of the province. 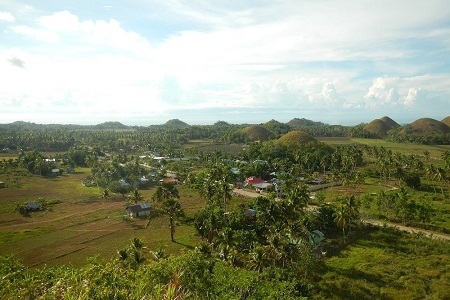 It is also among the three towns where the famed Chocolate Hills can mostly be found, though other towns have smaller claims of these hills. The municipality lies southwest of Clarin and northeast of Carmen. It is near to Danao and Catigbian as well. Located at approximately longitude 9’54’53” and latitude 124’ 5’ 31”E, it is 76.5 kilometers away from Bohol’s capital. This 5th class municipality covers only 1.68% of the total area of Bohol or 6,919 hectares. Though small, it is subdivided into 24 barangays. To name, these barangays are Calangahan, Canmano, Canmaya Centro, Canmaya Diot, Dagnawan, Kabasacan, Kagawasan, Katipunan, Langtad, Libertad Norte, Libertad Sur, Mantalongon, Poblacion, Sagbayan Sur, San Agustin, San Antonio, San Isidro, San Ramon, San Roque, San Vicente Norte, San Vicente Sur, Santa Catalina, Santa Cruz and Ubojan. 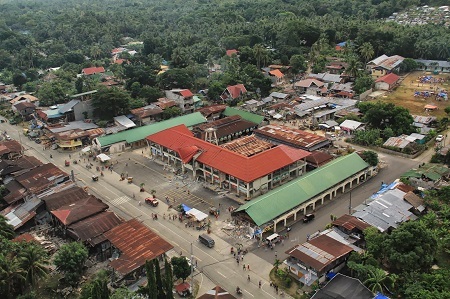 Only Poblacion is an urban barangay and the rest are classified into rural. Sagbayan has a tropical climate Type !V as classified by Corona. It is characterized by even distribution of rainfall all year round. The climate is affected by the Northeast monsoon from October to January and the first month of the year is usually at its coolest. Trade winds take its turn from February to April and the southeast monsoon from May to September wherein May is usually the hottest month of the year. 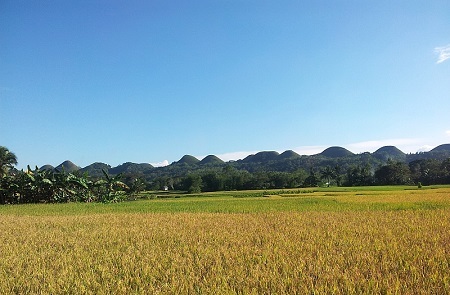 Most of hills, in which Bohol is known of, are found in Carmen, Sagbayan and Butuan. 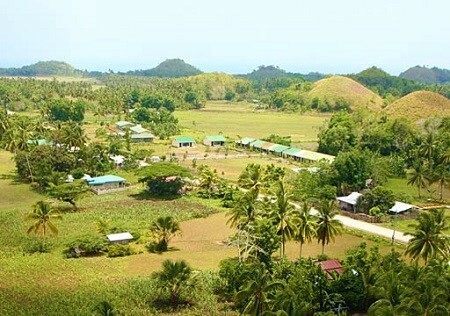 In this case, similar isolated conical limestone hills, like in the neighboring town of Carmen, dominate. Near Batuan and Carmen, in the southern and eastern part of Sagbayan, the landscape is described as moderately steep terrain with an elevation of 200-300 meters above the sea level. However, on the west to southwestern portion of the municipality, the profile has level to undulating terrain with slopes less than 8%. The rest of the municipality has undulating to rolling terrain with an elevation ranging from 190-300 meters above the sea surface. Residents of the town are mostly farmers with farms of their own, tilling their own crops. During market days, they are at Poblacion, trading their harvests with a sum of money or barter with some other goods. Main agricultural crops include rice, corn, coconut, camote and other root crops and vegetables. Others are into firecracker manufacturing, mat weaving, bakya making and basket weaving. Some are motorcycle drivers, converting their personal motors into a “habal-habal” to accommodate needs of transportation for tourists who wanted to see the beauty of Sagbayan. Tourism did help uplift the economic status of the municipality. 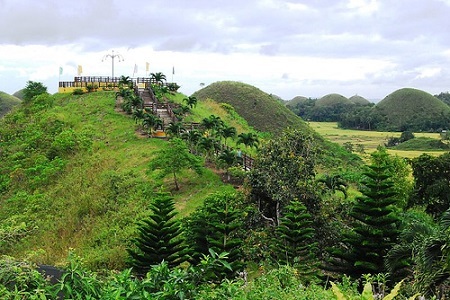 The Sagbayan Peak is a mountain resort and recreation center, offering a completely another view of these cone-shaped hills aside from that of the Chocolate Hills Complex in Carmen. This gives an alternative for tourists to see Chocolate Hills in another perspective. With a distance of 76 kilometers from Tagbilaran City, mere speculation of the travel time is 1 hr. & 40 minutes. Sagbayan is accessible via the coastal route known as the “Tagbilaran North Road” entering the interior route. Or, one can maximize its time by using the much shorter route passing the municipality of Catigbian. Many busses at Dao Terminal bound for Sagbayan as well as jeepney. But usually for tourists who are scheduled to tour Bohol, they booked some private cars or vans, depending upon the number of company and of course, budget.